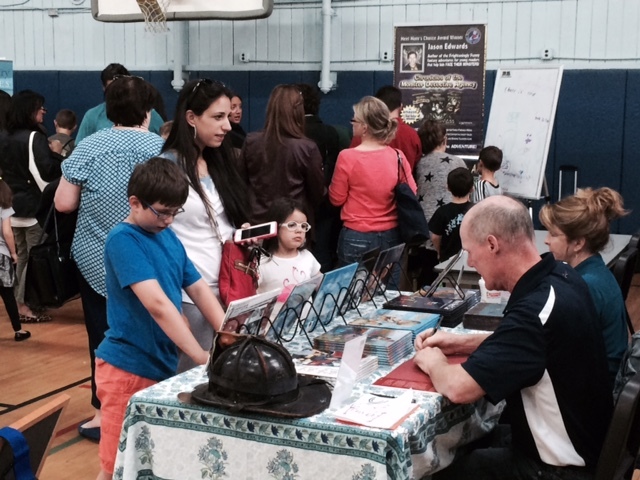 North Shore Schools, June 2015 - The first annual Glenwood Landing Authors/Illustrators Night took place on June 3rd, 2015. 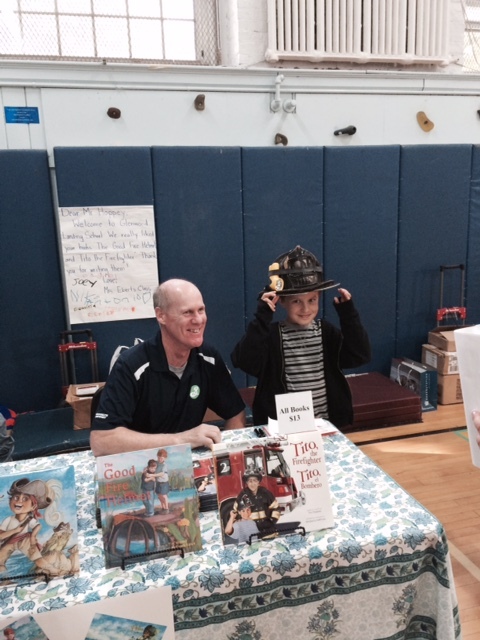 Nineteen members of the Long Island Children's Writers group, including GWL Psychologist Jim Perez, sold and autographed their books for the students. In addition, the guest authors and illustrators were on hand to answer questions. In conjunction with this special evening, each class at Glenwood Landing adopted one of the authors and read their works, visited their websites, and/or communicated with them via e-mail during the month on May. During Authors/Illustrators Night, a short presentation was given to parents in the auditorium about the "summer slide." Tips were discussed on how to encourage students to continue to read over the summer in an effort to prevent any regression. Many thanks to Erin Baulch, Christine Purpura, Susan Peterson, and Robyn Hoefling for organizing all these events for the students (and families) of Glenwood Landing! This summer, please continue to inspire your children to read and practice their reading skills. Summer Reading lists will be listed on the North Shore Schools website at www.northshoreschools.org. Thank you to all those who sent photos and participated in this special event! Pictured are students and parents of Glenwood Landing School with 19 members of the Long Island Children’s Writer’s group at the first annual GWL Authors/Illustrators Night.